The rumours are true, iconic British Department Store, Debenhams will open its first Australian store at St. Collins Lane. With over 240 stores across 28 countries, Debenhams will soon call St. Collins Lane home, hand-picked as the maiden location in Australia to accommodate the iconic British department store. Featuring sophisticated and stylish ranges from coveted UK designer brands like Jasper Conran, Henry Holland and Julien MacDonald, the two level concept store will offer customers a world-class experience, encompassing the precinct’s entire lower ground level over an expansive 3,600sqm in total. “Shopping at Debenhams St. Collins Lane will be a unique, immersive experience, where every customer can engage across a broad platform of in-store and online touchpoints.” Said Mr Graham Dean, Managing Director for Pepkor’s South East Asia Department Stores Division. 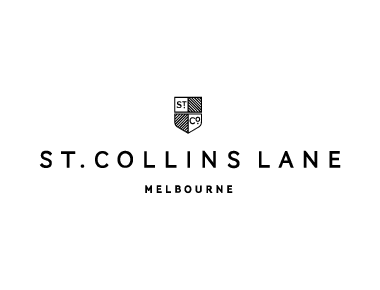 Showcasing a designer range specifically curated to suit the emerging fashion culture in Melbourne, St. Collins Lane is excited to soon welcome Debenhams to its list of international fashion brands, which include the likes of REISS, The Kooples, Maje, TAG Heuer and Coach, among many more. Debenhams will be accessible via Ground Level. Construction will commence early in 2017.